Brady Texas McCulloch County Jail. 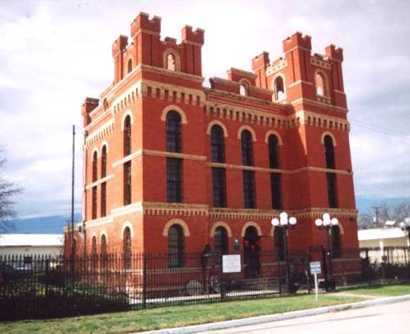 Constructed in 1909-10, this was the second building to serve as the McCulloch County Jail. 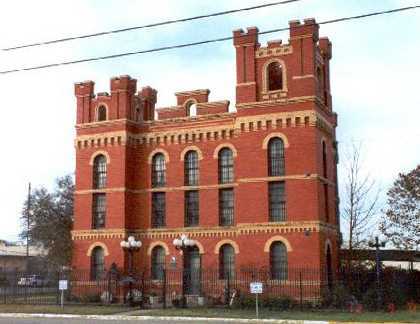 This red brick Romanesque Revival style edifice was built by the Southern Structural Steel Co. of San Antonio. Sheriff T.L. Sansom was the first occupant of the first floor jailer's quarters. The second and third floors contained prisoners' cells. When the county erected a new facility in 1974, the Heart of Texas Historical Museum, Inc., acquired this structure. Historical Marker information above courtesy of Terry Jeanson. One block off the square at the Corner of High and Main Streets. The Texas Travel Guide says they are open Sat., Sun. and Mon. Afternoons. Brady, Texas, please contact us.